Mark: That’s too much credit, really! CeltCast: But really, people have, I think, really developed into themselves because of festival scenes like this. You’ve created an atmosphere in which they could. Take Brunhilde who now designs her own clothes and makes a living out of it, or Lunadea who stepped into the more pagan scene and has found grounds here to, you know, have her own public come over here and do her thing. Mark: We give, together with other festival organizers, we give a platform. A place where they could do their thing. But more than that we don’t give them. So the creativity comes from themselves, and when they go for that they can make beautiful things. CeltCast: You said music was central when you started out. What does music mean to you? Mark: Everything. From our youth, my wife’s and mine, music always has been a main part of my life. CeltCast: Do you remember the first album or single that you bought? Mark: I think it’s Thriller from Micheal Jackson. I don’t know what LP or song it was for Natasja, but it will probably be some kind of hard rock band. She was very much into hard rock. And we like about everything, except a few kinds of music we don’t like, most kinds of music we like. CeltCast: And when did you come into contact with the more Celtic, or Pagan/Viking scene? 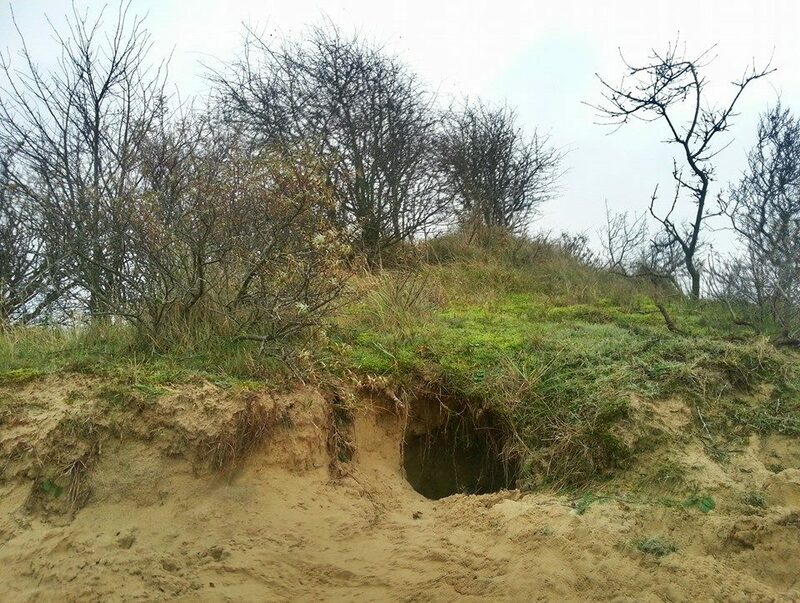 Mark: Visiting Elf Fantasy or Anno Domini in Limburg and MPS. There we got in contact with that kind of music, and Celtic Festival before it was named Schotland Festival. CeltCast: And what about yourself? Do you play an instrument yourself? Mark: I’ve tried desperately to learn to play the guitar, but I don’t have the patience or the skills to do that. CeltCast: I know what you’re saying, I’ve been there myself. But have you ever dreamed of being in a band yourself? Mark: Yeah, that’s why I bought the guitar. I wanted to be famous and be a rock-star like most kids I guess. CeltCast: For me music is equal to emotion. It’s like a thought or an emotion put into sound. What is the last song that made you shed a tear? Mark: I don’t know which song it was, but it was at Wave Gotik Treffen last weekend at the show of Cesair and it was so, that show was so good, that I got tears in my eyes. But I like the music program on Dutch television “Best Singer Songwriter” and there are pearls that can really touch your inner emotion. CeltCast: Ah, here’s Soar Patrol starting now. I haven’t seen many people shedding tears at Soar Patrol but ehm…we went from the rain in the background now to Soar Patrol. But is that how you find the new bands for your festivals, visiting MPS or…? Mark: Visiting as much festivals as possible yeah. CeltCast: Because there are a lot of uncut gems out there. Mark: Next to that we get, almost every week, CD’s in our postbox, or emails, and sometimes there are very very nice rough diamonds in that. And then we try to visit them at a concert because we don’t book bands we, or someone we trust, haven’t seen themselves play live. If we don’t see a band play live, we don’t book them. CeltCast: So that’s the secret to getting in to Castlefest for a young band? They have to invite you to a live show so you can watch them perform? Mark: No, first send a CD. All CD’s are listened to, and when we think of possibilities to put them on one of our stages then we get in contact with them. And then after that we find someone, perhaps, who has seen them already, because if a band plays gigs already, they play gigs at a certain festival, and then we find out who has been to that festival and if they have seen them. CeltCast: Last year a group called Pyrolysis crashed Keltfest here. They just went in with their instruments and started playing. Which is kind of daring of course. Mark: Yeah, they sent me an email asking if they could play on Keltfest and I said “our stages are full, I don’t have a place anymore.” And they said “but could we play on the terrain?” I said “sure, ok, no problem.” And they did an it was nice. They made a party out of it and this year we booked them for the camping stage at Castlefest. CeltCast: Brilliant! We love them. We did an interview with them yesterday and we think they are marvelous. They have a bright future ahead. Well, you do Keltfest as we mentioned, Castlefest, but you also have other festivals? Mark: Yeah. We have our medieval festival, Middeleeuws Spektakel, where we start a stage this year, first time. Before, the other years, it was just knights on horses and totally medieval entertainment, so now we added a stage to that to make it more interesting, also for ourselves. We have two editions of that, one in Dordrecht and one in Amsterdam. Then we have our Halloween festival, Haunted Castle, which is really a Halloween festival with haunted houses, scary acts, a lot of costumes. And this year we had our first Castlefest Winterparty and we will have, next December, our first real Castlefest Winter Edition in Lisse. CeltCast: Real, as in outside, because the other one was in a theater of course. It was totally crammed. It’s a good sign of course! Mark: It’s not that we want to expand or anything, that’s never the goal, but we have so many ideas and so many dreams, and a Winter Edition was one of them. And now we have the possibility to go and explore our dream. CeltCast: Yeah, and of course there are people coming to those. I mean, it’s like you said a natural evolving scene. You started Castlefest with like 8000 people the first year? CeltCast: 5500? And last year I believe you had like over 30.000. CeltCast: There were people waiting for an hour in their car, you had to hand out water bottles to keep them hydrated. It’s amazing. Mark: And what’s even more amazing is that that was our tenth edition, so we expected to have a lot of extra visitors. Not this much, but we expected growth. But we thought the next year, the eleventh edition, will be a bit less crowded or the pre-sale shall be less. That’s what we expected. But at this moment we sell much more tickets than we did last year. We sold already 150% of what we sold at this moment last year. So we don’t understand. But for us it’s never a goal to have more visitors or to get bigger, but it’s always the consequence because now we know we sell that much tickets in pre-sale we think OK, but if all those people come and we have that same growth at the door, what will happen and how are we going to entertain all of them and how can we get all of those people on the terrain? CeltCast: Yeah, because you already expanded a couple of times. Mark: Yeah, and there is not much more space, there’s no more space extra to get. So what we are trying to do now is changing the terrain so we split the public more, and pull them to all the sides of the terrain so it’s less crowded, it feels less crowded. That’s really important. The feeling and the quality of the festival is more important than how much people we can push into that. And we have ideas about that. But if the sale will go on like this there could be a possibility that we will sell out in the pre-sale for the Saturday. We don’t know if the sales will go on like this but we anticipate on that possibility at this moment. CeltCast: Wow! Well, if people are aware of this I’m sure you’ll get another run on tickets ’cause nobody wants to miss out. Last year you did something new. You had a live feed streaming on YouTube. Bastaard, of course who already made lots of videos and does wonderful camera work for you, they innovated. You reached people in Brasil or all across the world, it was a huge success. Mark: Yeah, that’s the same growing thing as we were talking about earlier. Bastaard does his film shootings at all fantasy festivals in Holland and make very nice compilations, and Erik, Erik Wildeman, who does now all registrations at, all stage videos at Castlefest for us, grew so much in the couple of years we are working together, we tried to find new things together and last year it was the live stream. We didn’t promote it, at all, until we really knew that it would work. So the first time we ever told anyone about the live feed was when the first band was on stage. And it worked and we said OK, now we put on Facebook that we have a live stream. And we had a lot of visitors on that. It was a real success. So we will do that again this year and add a new extra to it by putting a LED screen on the festival terrain so the public can also see more. Because sometimes it’s so crowded, you can’t even see the stage. And then they can see the show also. CeltCast: So you reached out to people abroad. I don’t know if you can measure this, but can you see in the pre-sales that people from abroad, more are actually visiting Castlefest? Mark: I could probably see that but I didn’t check that yet. But we have visitors from all over the world. CeltCast: And how about the other way around? Because the Netherlands is only so big. Do you have plans on going abroad? Mark: That question is asked us since I think our third or fourth Castlefest. “Please bring Castlefest to Belgium, Germany, France.” And the we always said “No, we’re not going to do that.” Because it’s too risky, it’s too difficult. We don’t know the culture good enough, we don’t know the rules good enough. But last year when we were at Trolls & Légendes in Belgium I said to my wife “I think I’m not willing to say no all the time.” Because there I got the same feeling I had when we came with the idea of organizing a market, what eventually went to Castlefest, what became Castlefest. And we very much want to follow our feelings, so if we feel that, we try to open up the possibility, and if something happens then, perhaps, who knows? And in this particular idea, when I told just one person that I would probably, if someone would ask me now I would probably not say no again, but who knows. And after that so much happened! So yeah, we are going to organize a festival in Belgium next year. The guys from Bastaard had it right! CeltCast: “Kastelenfeest” all along! Congratulations! I think you will be changing people’s holiday destinations, depending on the time of the year of course. Mark: Perhaps. The time of the year is already…we already know where and when it will take place. We are even already in contact with bands for that festival. At this moment the website is created, so we are working hard on the background to present it to the world, and we will present it before Castlefest. CeltCast: OK, well we will sure be helping you along to let the world know that Castlefest is coming to Belgium! CeltCast: We are currently at Keltfest, which is sometimes called Castlefest’s little brother. We’re having a chat with Mark van der Stelt, one of the founding fathers of the Dutch festival scene, that makes the world behind the music your hear on CeltCast come to life, if only for a few days. So Mark, thanks for finding the time. CeltCast: Now, your involvement in this scene goes way back. Last year Castlefest had its tenth anniversary. What were your first thoughts behind Castlefest, creating the festival? Mark: We were first just visitors of festivals. We went to some festivals in Luxembourg, of course Elf Fantasy in Holland, and also some festivals in Germany, and what we saw in Holland was that we missed some details. We missed some real important atmospheric pieces and we thought “perhaps it’s a good idea to organize a little market.” And so it went on and on and that became Castlefest. CeltCast: You started out with a little market. Where do you find those people? Mark: Because we were visitors, we already had contact with the market salesmen, and we knew a couple of bands like Omnia and Rapalje and they helped us a lot in starting the event, getting us in contact with important other salesmen and other entertainers. So we did it all together with a lot of people. CeltCast: A lot of people, a lot of volunteers as well. Were they there from the start? Because you have like an army of hundreds of volunteers? Mark: Our first edition we had a hundred volunteers. CeltCast: How did you manage to round them up? Mark: It’s quite simple. We just put a question on our internet site and they registered. And we went to a lot of festivals with a promotion booth. There we also got in contact with a lot of possible volunteers. CeltCast: It’s a wonderful world, with people that are willing to do stuff for free, just to feed the flames of this scene. Castlefest of course is more than just music and merchants. Where did you find the source of inspiration for the way Castlefest presents itself? Like the way you have The Wonder Of It All, Twoia as a symbol, but the whole entourage of Castlefest, it’s like you’re stepping into another world. Mark: Yeah, that’s something that’s not “created”, that’s grown. When you come in contact with people and you talk to them about the plans, they got inspired by that and they added their own creativity to the festival. Twoia, The Wonder Of It All, is something our good friend Martin Jansen made and we talked a lot about Castlefest with him and brainstormed about the feeling, about everything creative. So that grows. It’s not something that you can say “OK, we’re going to put a festival and it has to be that kind of atmosphere and we put some thing over here and some other creatures over there and then you have something.” It doesn’t work like that. We still don’t know why Castlefest became what Castlefest is now. We don’t know. CeltCast: I think that’s actually the best answer you could give. You didn’t start, because we are at Keltfest now, that’s a festival you didn’t start but you, say, took over? Mark: Yeah, when we took it over it was Schotland Festival, but it’s not that festival that became Keltfest. We recreated the festival. CeltCast: How did you make it yours? Because then it was more like a deliberate way of redesigning the festival. Mark: When we started with Schotland Festival it was more a bagpipe contest festival than it was a music festival. And our heart is more in the music than in the bagpipe contest, so that was the main switch we had in the second year by not inviting, or not doing the cooperation with the bagpipe contest and instead of that put a bigger stage with more music. And then we also changed the name into Keltfest. CeltCast: Yes, because it was originally of course called Schotland Festival. Mark: Yeah, and before that Celtic Festival. CeltCast: Even before…see, I didn’t know that! Mark: It exists for fourteen years now. CeltCast: That’s incredible! And when you first started out doing this, what were the thoughts of your family and your loved ones? Because it’s kind of a risky undertaking, it’s a weird undertaking, it’s not something that would be considered normal. Only yesterday I was picking up one of my daughters at her, shall we say, mother in law, and when she opened the door, her mother in law, she had to take something like a minute because I was dressed the way I am now. It was a huge leap for her to understand what I was saying, I had been to a festival, it’s like a different world, like a modern Woodstock. It’s like neo-hippies, police are there to support but they actually haven’t got a thing to do because it’s all just weirdo’s, goofballs and many lovely people enjoying music and the company of each other. But what were the thoughts of the people surrounding you when you said “I’m going to do something else. I’m going to do this”? Mark: That was not a big change. It was just a bit more work, more to do. When we started Castlefest we did it in the night time. We had a full-time job, so it was a hobby and the first two years it remained a hobby. After that is was too much to keep doing that next to our jobs and my brother stopped his work and started working for the festivals almost full-time. And we got our first employee, Frank, to do the organization of our festival. And that was almost the same time that we started talking with the old organizer of Schotland Festival. For us it was a chance to have the possibility of paying someone for his work. Because before that it was just a hobby. We didn’t get any money out of the festival, the first year it even cost big money. CeltCast: I know, it was kind of tricky. Mark: Yes, but we only found out it was tricky after the festival. We didn’t realize that. Totally not! We believed so much in what we were doing that we didn’t even consider that it could go wrong. Not ever, not a moment. CeltCast: Just blindly stepped into it, you followed your heart. There’s a lot of kids in this scene who would also like to follow their heart, but then you have like, you know, parents, who allow them to go over here, but who wouldn’t applaud a career in music or festival. You have made a family business out of it. Mark: No, I don’t think my parents, when they thought of a future for their kids, ever would have thought of this. No, you keep a steady job and earn your money so you can pay your bills. That’s the kind of way you try to bring your kids to adulthood. CeltCast: That’s the mantra of parents. What would you say, what would your advice be to young bands who are starting out in music now? Mark: Follow your heart! And do what you like. That’s the main thing. Everybody should do, not only bands, but we see a lot of salesmen and women, or artists, who also need to follow their heart and their own creativity, because everybody has one kind of creativity. For one it’s sculpturing, for the other it’s making music, for another it could be accounting, but everybody has his own creativity. Last weekend Cesair gave their début performance in Germany at the Wave-Gotik-Treffen in Leipzig. After their impressive gig on the “heidnischess Dorf” stage, Monique and Thomas met up with Lena (of Miroquesen auf Tour) to take some time to answer a couple of questions for CeltCast. Music is always something living and vivid. 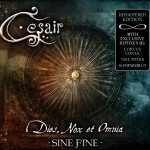 In what way do you feel this counts for “Dies, Nox et Omnia” compared to “Dies, Nox et Omnia – Sine Fine” and what are the reasons you remastered the CD? – One thing we strive for is for our music and sound to keep growing and evolving. The influences and experiences we’ve had throughout the years contribute to this and affect the way we, and our listeners, listen to what we create with Cesair. We are very proud of our début album, and when the opportunity to produce a new version presented itself, we wanted to make a real special edition, so that we could intrigue new listeners, and at the same time treat the people who have already known our music for two years to something new and exciting! This is why we remastered the CD – to get the most out of what we made two years ago – and why we had some of our friends create remixes of our songs – as a bonus to our most loyal fans. A lot of people compare your music with the “good old” Faun stuff – how do you feel about that? – Honoured. They were and are a huge inspiration. Being yourself a fan for years and to now get compared to your idols is something we feel proud of. WGT “heidnisches Dorf”: How do you like it? Is it different from other festivals? – At first sight of Leipzig you see a crowded city full of traffic noises and everything you’d expect of a huge city as typical city life. But approaching WGT “heidnisches Dorf” is like diving into a forest-oasis with it’s own magic. And for some of the band members it is even stranger, in a nice way, since they attended the festival as usual festival guests and now they are here as artists on stage. Being part of the Pagan Folk scene, what makes it special for you? – For us it is contributing to a modern form of romanticism, some sort of escape out of the difficult world we live in today. The world today expects perfection from everyone, but the Pagan Folk scene and the Pagan lifestyle is much more open minded, tolerant and lets you just be who you are and what you are. It is some sort of free asylum a different world we love to be a part of. Songs turn special to people when they know the story behind it. Is there any story you like to share with us? – Some songs are very close to ourselves. 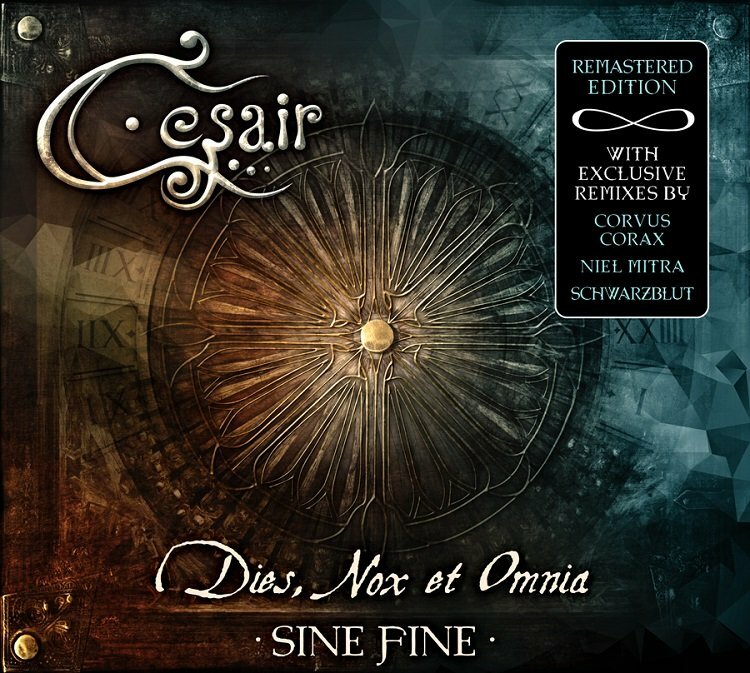 With “Dies, Nox et Omnia – Sine Fine” we tried to tell the story of the goddess Cesair. The title-track “Dies, Nox et Omnia” is one of those songs of which the lyrics got very close to us. The song tells the story of her last thoughts while falling off a cliff into the ocean, and for us this story makes her and our story complete. So we are now at a point were the circle has been closed that was started by creating music and that now gives us the opportunity to go beyond this with our next CD. Interview with Kaat of L.E.A.F. These days between Christmas and New Years Eve are usually a very quiet time. Short dark days, long cold nights, as if the world actually moves a bit slower. What could be a better time to relax, sit down and have a chat with a friend? We had a lovely interview with our good friend Kati Ran of L.E.A.F. Sit down with a hot cup of tea or a nice mead and read all about their new album, about their plans for the new year and of course about the teaser, the track that we will be playing in our stream, starting the 1st of January! Last week you revealed a hint of what is to come by releasing a small fragment (snippet) of your new single to your audience. What we heard certainly had that familiar L.E.A.F. sound, yet there were also innovative elements. Can you tell us more about how the single came to be? The single will most likely surprise a lot of people. With this teaser we have set off into an exciting new direction that, to me, feels more authentic in what I would like to bring across with the music that we as L.E.A.F. make. The goal to this, in the broadest sense, is to revitalise the connection that can be formed between man and the other world. The lyrics to TERVEH are a Scandinavian rite sung in Karelian (Northern Finland). They are an anthropologically documented shamanistic rite, which purpose is to contact and negotiate with spirits of the neighbouring forests. These supernatural rites were usually performed by local Tietäjä’s, wise tribal women who dared to use life force or ‘Luonto’ for supernatural negotiations or offerings, in order to better live in conjunction with the, to them, spirited and sometimes threatening nature. The song was created with the assistance of a native speaker, as well as additional research among Finnish elders, for this this type of Finnish is very hard to understand, even for the people of Finland today, as the text is in a very old dialect from the most Northern area of the country. Another famous example of a similar old Finnish rite is the already well known ‘Auto Luonto’, sung by, amongst others, Tellu Turkka of Hedningarna and Omnia. The track was recorded by none other than Fieke van den Hurk (ORCHVS studio) and I produced it with Christoffer Juul (LAVA studio), a close friend and producer, known from the Danish bands Valravn and Euzen. Is this track’s style representative of the upcoming album? Yes and no. We labelled TERVEH as teaser, because the album will be a 50/50 mix in sound. 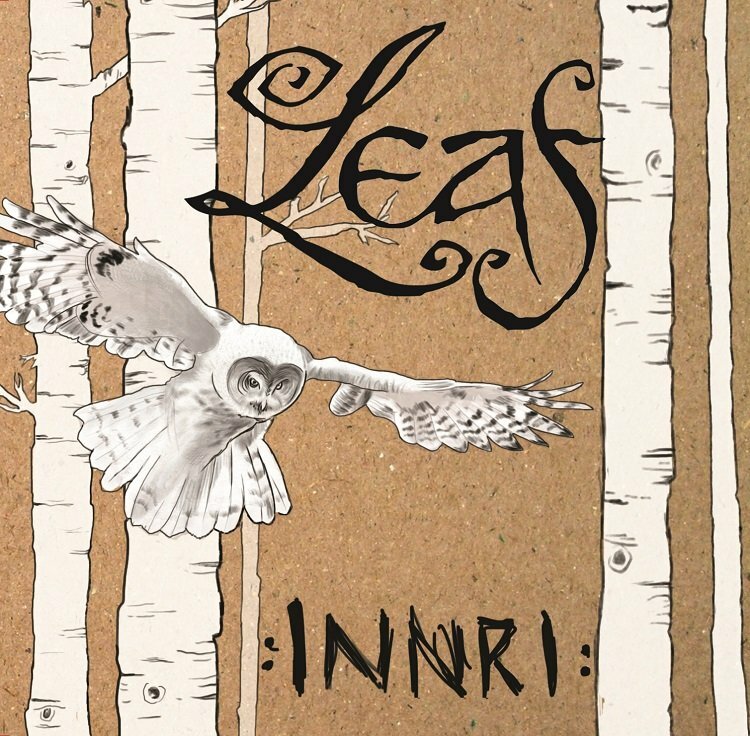 On the one hand, tracks based on traditional folk melodies, wrapped in a mythical and warm L.E.A.F. blanket, very near-sounding, like how we already can be heard live. On the other hand it will contain tracks like TERVEH with extra sounds and effects that can only be produced in a studio, because when you have so many technical possibilities and you’re working with a producer like Christoffer Juul, it’s just very tempting to use these options and make the album exceed the level of “just playing” some folk tunes. It is however my intention and hope to get as close as possible to the sound of the album when we play live, which will present whole new podium challenges. We are in no hurry with the production, quality before quantity is my new motto. How actually does a group of Dutch artists come to make Nordic Folk? What is/was your inspiration? If you take a close look at the start of L.E.A.F. you’ll see that the first tracks we played already were Scandinavian songs, such as ‘Under Nymanen’, ‘Fjarilar’ and ‘Bundet’. L.E.A.F. has been Scandinavia-oriented from the start, especially because this feels very near to me. I feel a deep connection to the languages and areas there, something I do not experience with other parts of the world. However beautiful, I could never play a Bulgarian, Polish or African song, because it doesn’t feel close enough to me to really connect with it. And to me that’s a prerequisite to singing, if you are to portray something believable with your voice. This is something I have had to learn by experimentation over time. I have also been inspired by my travels through Norway, the immense nature and history there, and the knowledge I obtain there about old folk songs from my Viking friends. The reason we call it Nordic PaganFolk is merely to give it an identity within the known Pagan Folk scene. Is there an underlying message that you wish to convey to your listeners? Certainly. You can find meaning for yourself in the lyrics and in the way we convey the music. Sometimes naming something essential and tangible that resides between the lines doesn’t do it justice and can diminish the feeling, but in short it’s about the connection between man, nature and the other world. It’s also by singing of universal emotions that we hope to touch the hearts of our listeners. Your music is driven by various uncommon and mysterious sounds. How do you come in contact with the instruments that produce these sounds? This is because we are historical instrument fetishists, or at least I am. By meeting other historical music nerds you get new inspiration and you want to learn to play uncommon and old instruments more and more. It’s an obsession and a collecting mania. Avid musicians from my inner circle will recognise this. Look twice before you leap into this! The EP that was released mid 2012 was mixed and co-produced by Fieke of ORCHVS studio. She also provided the artwork and the website. Who will have the honour of helping the upcoming album take shape? For this album, provided that the crowd funding works out, we will work together with the LAVA studio. Christoffer Juul and I will be producing and mixing. The excellent studio recordings will be done by Fieke van den Hurk (ORCHVS) once again, as we wouldn’t want to work on this album without her energy and her amazing studio in the Netherlands. As for our album and PR artwork, there will be a mix between again Fieke and the newcomer and brilliant illustrator Charlotte Boer. And when do you expect to present the result of this collective hard labour? This is a very hard question to answer, because, when is something really completely done? Not until it’s actually finished. We have not set a deadline for it as we’re aiming for quality. We want to make an album that, in ten years’ time, we will still be able to look back upon with pride. That consumes a lot of time, also to let the recordings sink in, and to fine tune them and let them ripen along the way. But we hope to release it at the end of 2015. In the mean time we will keep our funders and fans up to date on our Facebook page and via our website, and we’ll release some thingies and snippets along the way, like the teaser now. What does an average week for you look like? Do the members of L.E.A.F. go to the office every Monday, or did you manage to give life your own little twist? This varies per band member of course. All our members have amazing talents that they use outside of L.E.A.F. for work, study, their own freelance businesses and things like that. Speaking for myself, I am quite a multitasker. I have a “regular” job as a pedagogue (teacher) in a nature based child day-care centre, where I try to teach teamwork and confidence by, amongst other ways, learning survival techniques. It is very much trial and error: falling and getting back on your feet, making fire and the like. I’m also a mother, so I have a household to run, and when I’m “off the clock” I work on L.E.A.F. and other wonderful musical projects daily. This encompasses everything from administration to collecting lyrics, from HTML coding to keeping up social media. And then sometimes other projects come my way, like acting and art photography, plus I also run a modest massage and coaching business (VANIR). If something grabs my interest I gladly take it up, and in the end we all have to survive financially as well. I have to restrain myself from doing too much, but there is this creative drive in me that just won’t stop. L.E.A.F. is one of the nicest ways to express myself and everything that lives inside me. I could never “just” have a job and do nothing else. I would be bored to death… Steve Sic’s (Omnia) motto used to be: Create or Die. I can really relate to that. The snippet was framed with visuals by Rhaenys Redleaf. May we hope that this is a precursor to a first actual video by L.E.A.F.? There are some rumours that I will all of a sudden hike into a snowy forest in Southern Germany with some genius film friends with RED cameras attached to flying drones to shoot some footage of pine forests on an actual mountain and perform some weird occult stuff… We will see. There will undoubtedly be opportunities in 2015 to enjoy your music live. This last year we have seen Dutch bands such as Omnia, Rapalje and Cesair move more and more abroad. What are your aspirations concerning foreign soil? With Folk Noir I have already had a lot of opportunity to perform abroad. I’m familiar with lots of foreign festivals, among other reasons because I’ve worked as a crew member and guest for bands such as Faun and Omnia for several years. This pays off, as I can approach festivals organizers directly and point out cool new Dutch projects. L.E.A.F. is already familiar enough to be very welcome at festivals in Germany, Belgium, the USA and multiple locations in Scandinavia. This is actually a rather funny and glaring contrast with the small festival scene in the Netherlands where newcomers to the folk scene are almost fighting for a spot and play for almost no money or terms. It’s remarkable that you often see the same bands booked, while there’s such a wide range of high-quality and diverse bands to choose from. I personally think that this is a shame. Then again, this surplus of bands also provides some very cool new initiatives because bands now organize their own concert nights where the listener gets treated to a very unique experience. How cool is that? Next year L.E.A.F. will be playing on some festivals in Germany and we’re already discussing some very cool German offers for 2016. But the focus for L.E.A.F. this year will mainly be on the album. You only do that once. There will always be time to perform live, and we’re simply putting that off until we’ve finished the album. That is truly our main priority now. And then maybe there will come a day when you get to take the music back to its area of origin. Have you ever played your songs to the Northerners? And what was their response? And for all the people who are anxious to start the New Year well: how will the entire new track be made available? The crowd-funding won’t start until later in 2015, as we were advised not to do this exactly on New Year’s Day, because it is a time when people are less active on social media and one is less likely to invest. That’s why the teaser will be released on our YouTube channel to enthuse people for the new album, but we won’t start the crowd-funding just yet. The track will be made available at a later stage through the crowd-funding. 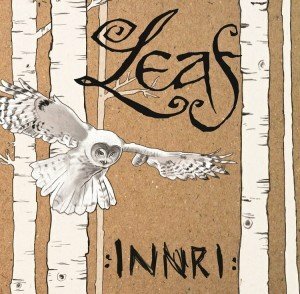 The Dutch Folkband L.E.A.F makes ‘Nordic Paganfolk’ using ancient texts and traditonal folksongs to enchant their audience. 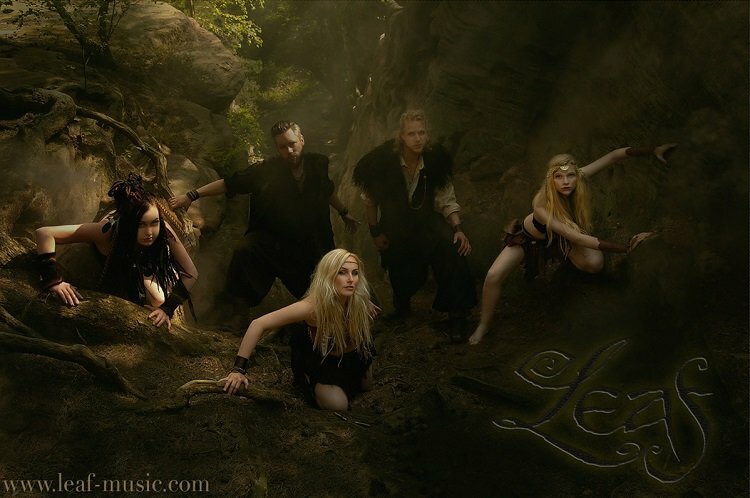 L.E.A.F plays on historical folk instruments, such as the Swedish Nyckelharpa, Celtic Harp, Hammered dulcimer, Acoustic guitar and irish bouzouki, powerful Fiddle, Kraviklyra, overtone flutes, shamanic drums and more. Vocals, Hammered Dulcimer, Nyckelharpa, Sami-drum, Frame drum, Irish Bodhrán, (overtone) flutes. We are all used to radio stations interviewing bands and artists. However, the first ever interview that CeltCast is involved in is an interview that the lovely people at Bastaard had with us! For Dutch speakers, you can find the original article and interview at www.bastaard.net. For English speakers, we have translated the article and interview for you here. A bit more than a week ago the new online radio station CeltCast went live. On CeltCast you will mostly hear Celtic, Viking, Folk and Folk inspired music. The station was founded by Alex and Arjan, but already has a bandscout as well. CeltCast originates from the Netherlands, but it has an international focus. Primarily on Europe, but because of the non-stop music it has gained attention from all over the world. You can listen to CeltCast through their official website, ShoutCast and recently through TuneIn. So most devices should be able to play CeltCast! In order to better introduce you to CeltCast we had a written interview with its founders which you can read below. What do you think about the start of a new radio station? What kind of music would you like to hear on a station like CeltCast? Let us know in the responses! What is the goal with which CeltCast was founded? Alex: The station was founded out of a love for music. I really wanted to give something back for what the musicians gave us (my family) over the past years. The joy at the festivals, on the road or at home, the energy to pick up tasks that I thought I wouldn’t have the stamina for, the dancing with my girls in front of the stage, in the living room and even in public, the emotional touching experiences, the depth and the humour! But the greatest gift is the interest that my daughters have developed in making music themselves. They play Celtic Harp, Piano and Harmonium, but are already looking at playing Bodhran and Guitar. Music is something magical. It can touch you, or move you. It is this magic that I would love to share with as many people as possible, and I would like to present a large stage for that to the bands and artists. Arjan: For me there is of course also that love of music, that I have felt since a very young age, that is a driving force behind me wanting make a contribution to the scene. Music influences all aspects of my life and I am very thankful to the musicians that make that possible. But besides that I also like to address the feeling of community that I feel within the folkscene. I think, we think, that we can use our radio station to amplify and expand this community, so that more music can be made and shared, and ultimately so that more people can enjoy it. That is also the thought behind the addition of “Community Radio” to the stations name. What is the target audience for CeltCast? We don’t really want to think in target audiences. At the festivals you see people from all corners of society come together to enjoy themselves. The music in our playlist has something primal, something touching. Something that people don’t get to hear in the “mainstream media” any more, but that immediately grabs you when you open up to it. Everyone is very welcome: musicians, producers, organisers and listeners. If they just sneak a peak we hope that something “clicks” and that they choose to stay. Is CeltCast aimed at the whole world, or more at European listeners? We chose English as our primary language, in order to be accessible for the largest possible audience. Since our home base is in Europe it is logical that most of our listeners are European, but to say that we specifically aim at that would be wrong. We don’t say “around the clock, across the globe” for nothing. At this moment the Netherlands is clearly in the lead when speaking of where the listeners are from, followed by Germany, the UK and the US, but to our delight we even seem to be reaching people in far away lands like Ecuador, Japan, India and Australia. In that last country our scout, Bob, is currently working to find bands that are as yet unknown to us here in Europe. What kind of music and bands will we hear on CeltCast? Celtic, Viking, Folk and Folk inspired music is how we describe it. 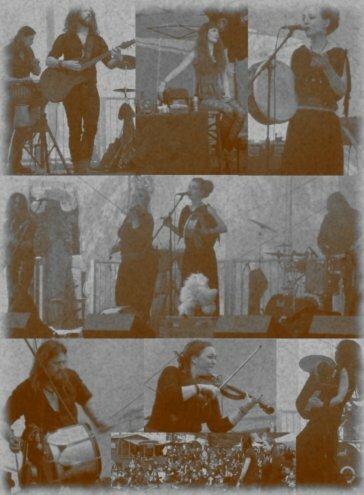 The concept of Folk of course encompasses a wide range of music including Nordfolk, Balkan Folk, Breton Folk and sometimes certain “Gypsy” music. But we can’t ignore music like EUZEN either. We mostly select the music by feel and we discuss it a lot amongst each other. The thing that connects it all is positive energy and that acoustic sound. We play various big names from the festival world such as Rapalje, FAUN, Omnia, Cesair, Sowulo, Trolska Polska, Virelai, AmmA, Shantalla and Harmony Glen, but we also play the lesser known bands from a forgotten past, from remote areas or bands that are working hard to make a name for themselves. It’s great to receive responses and questions, because we see that listeners hear of bands like EMIAN, Instinkt, Lunasa, Tevenn and Sylvain Barou for the first time through our station, or maybe get acquainted with the old Clannad (1973!) or Mark Knopfler solo. Through which channels can people listen to CeltCast? We are working hard to offer several options. At the moment people can listen using the player on the website, the RadioJar plug-in on Facebook, and the TuneIn and RadioTuna apps for tablets and smartphones. Is it all non-stop music or are there/will there be specific programmes? We have thought about specific shows and programs based on the time of day, but as a global station there’s never really an “evening” or other fixed time. We also want to keep an eye out if the audience actually wants it. Right now we are actually getting a lot of compliments on playing “nice alternating music”, so we’re focussing on the basics for now. Do you view other similar stations as competition? No. We sincerely believe that there is room for multiple stations, each with their own characteristics. It’s good that listeners have a choice to tune in to what they need at that time. The more, the better, I would say, so that the artists have the largest stage possible. In the mean time we’ll see about growing on our own strengths. In what way will CeltCast differentiate itself from other similar stations? We chose to create a stream with 100% music. No commercial breaks, no chit chat. We are able to do that because we chose to pay the royalties ourselves to BUMA/STEMRA and SENA (the Dutch copyright organisations). In this way we’re not dependant on a provider that wants to profit from us. We also consider involvement to be a core value for us. We want a “for the scene and by the scene” radio station. We want to invite and encourage everyone, both the listeners and the artists, to think along with us. Does CeltCast need money to exist? Absolutely! But we invest this ourselves, so that we are registered as “non-commercial”. We never know what the future holds, but for now we gladly pay for this, so that we have the freedom to decide everything ourselves. Well, not financially, but if you want to support us we’d be very happy! You can share the station with your friends. Write a nice report on a concert, an album or a festival and we might be able to publish that. You might have the guts to go interview a band. Go crazy with creativity on our logo if you want. All forms of artistic contributions are appreciated! We’re also always open for tips about new music and all sorts of good ideas. With the subtitle of the station being “Community Radio” we want to indicate that this station is something for, as well as by, the listeners. By working together with bands, listeners and organisers we can grow as a whole. What kind of activities can we expect from CeltCast in the near future?